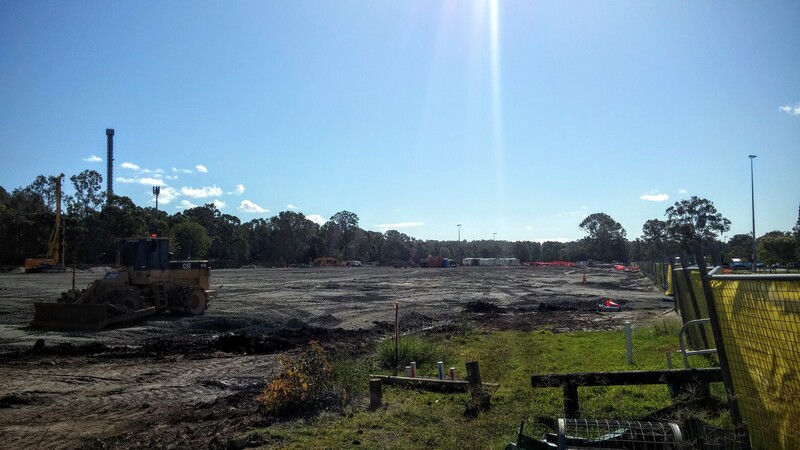 Construction on Coomera’s Indoor Sports Centre appears to be progressing slowly. 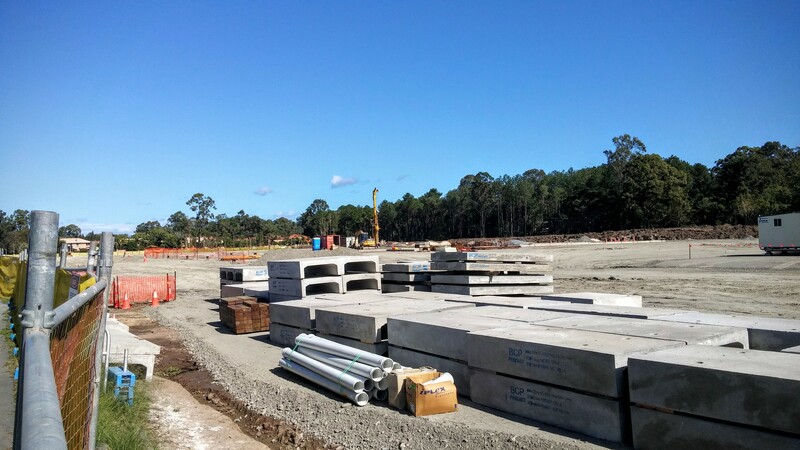 This centre is to host the gymnastics, netball and basketball events at the 2018 Commonwealth Games as mentioned in a previous post: GC2018 Coomera. 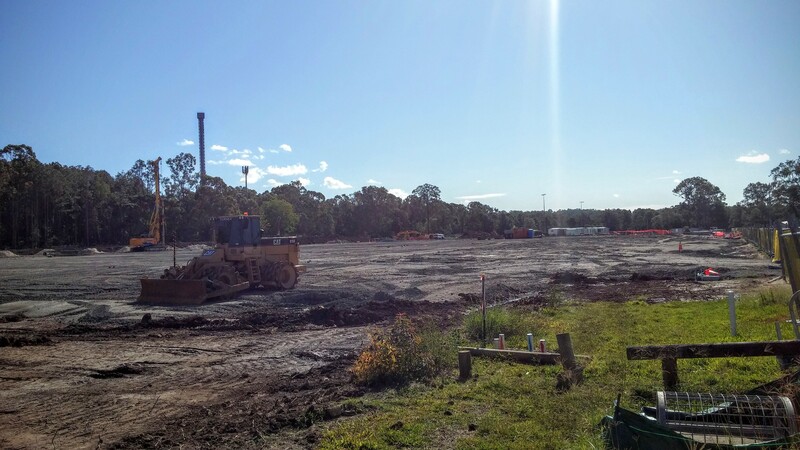 A pad has been excavated in preparation for the main concrete slab. A drilling rig is on site preparing some piles to support the main floor structure. In 4 week’s time I would expect to see plumbing and concrete reinforcement in place ready for a concrete pour. I will keep you posted. Bayden Goddard Architects is an inspirational design practice on the Gold Coast. Stephanie McDonald’s interview with Bayden Goddard (via Architecture & Design) is a very interesting insight into Bayden’s views on the future of architecture in our local precinct. How would you define the Gold Coast’s architecture today? Improving. There are fantastic examples of great architecture sprinkled all over the Gold Coast, but in particular the residential high rises that define our skyline have improved vastly. How do you think it could improve? As the Gold Coast continues to mature, there will be real pressure on urban planning, but as long as great architecture, a focus on recreational spaces and the soul of the Gold Coast – the coast itself – is maintained as an inspiration and lifestyle focus, we will continue to improve. We are a definite work in progress. What do you think the Gold Coast will look like in 10 years time? I think the Gold Coast has started to develop its own international beachside style already and will continue to do so over the next 10 years. It’s an eclectic mix of influences that can stimulate great architecture instead of just simply imitating the past, or elsewhere. You’ve said there is the myth that architects are expensive. What other myths do you think people have about architects? Where could you stop – there are many myths surrounding architects. The bottom line is architects are university trained and registered in all states to be called an architect. Like all professions, architects tend to have varying styles, skills, strengths and personal attributes so if you do your research, speak to a few and choose one you think you can work collaboratively with. The process and outcome should dispel any myths anyway. I honestly don’t have a favourite project. We have been very fortunate to work with great people to achieve exceptional outcomes and there are many projects that are my favourite – all for vastly different reasons. What is one project you wish you had designed? The Opera House, but I am too young. But seriously, in Australia there are a few. I do really admire Ogilvie Residence and Singapore Cricket Pavilion by Kerry Hill and Whale Beach House by Alex Popov. What building has had a profound impact on you? Kaufman House in Palm Springs by Ricahrd Neutra is my favourite. I am consistently drawn to the 50s and 60s architecture of Palm Springs, but I also admire the modern residential works in Brazil by Isay Weinfeld and Marcio Kogen. 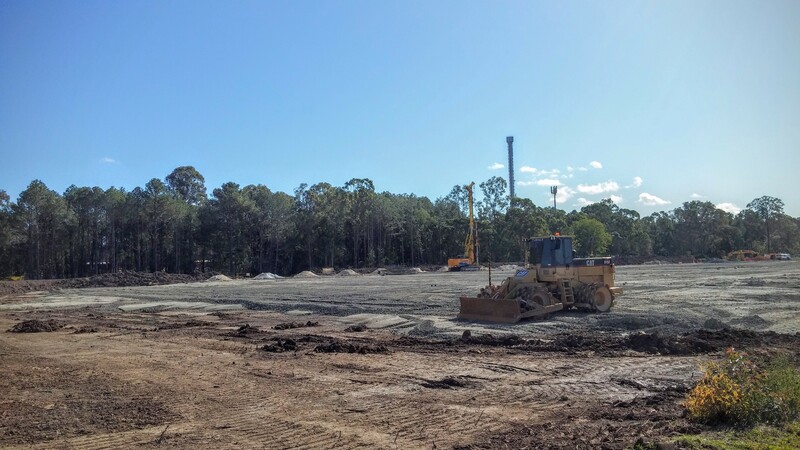 I am very excited to see the beginnings of the Coomera Indoor Sports Centre, a new Commonwealth Games development in my own local precinct. 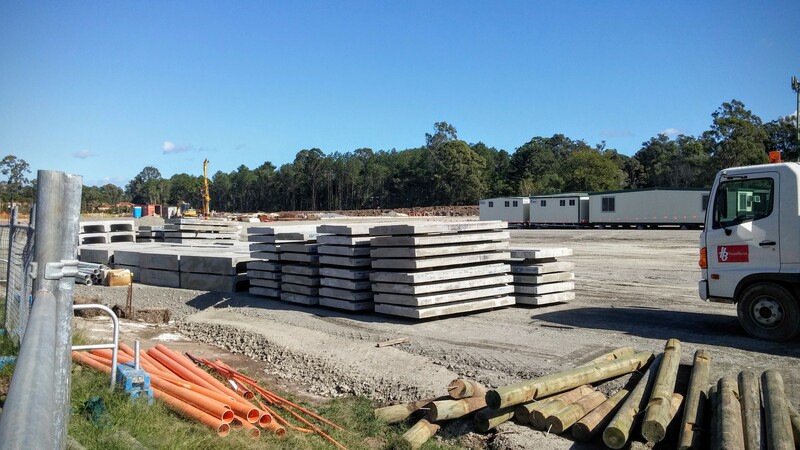 Located in Coomera, at the northern end of Gold Coast, Queensland Australia, the site is situated on a flat section of land surrounded predominantly by existing sporting fields, with amusement parks and a marine precinct nearby. Designed by BDA Architecture a local Broadbeach based firm with a strong reputation for quality architecture in association with Peddle Thorp. 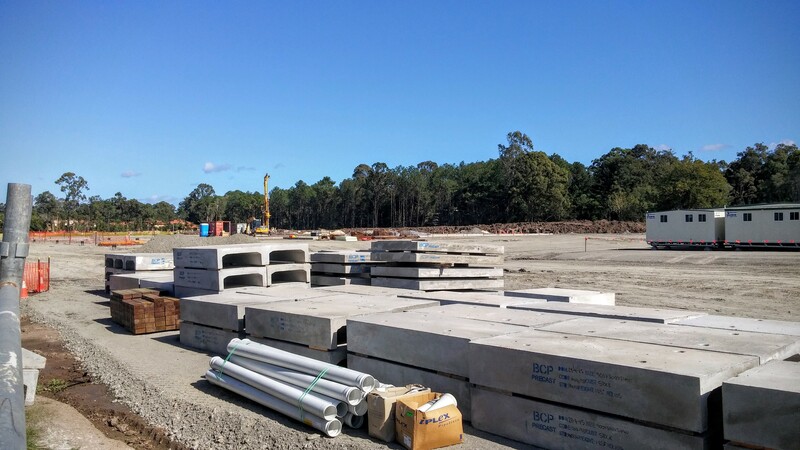 The new multipurpose facility will be host to a number of event finals including netball and gymnastics. I like how the architect has been able to make a large building appear light and refined through the use of transparency and a finely detailed roof structure. This is emphasised by the way in which the wall peels away from the front corner of the building. The large entry void provides a dramatic sense of occasion as you approach the building. 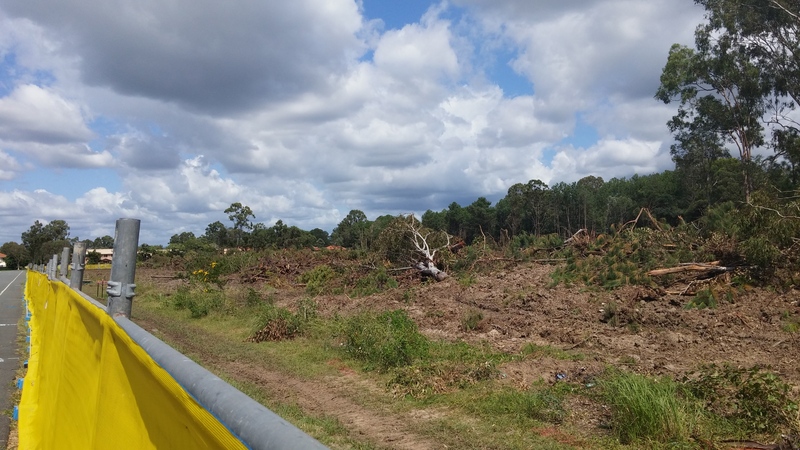 The venue is to be constructed by Hansen Yuncken at a cost of $40 million and due for completion October 2016. Watch this blog for future construction updates.